Food & Wine Will Relocate to AlabamaA new editor will take over as the food glossy moves its headquarters out of New York. Here Are the 2017 James Beard Foundation Media Award NomineesNominees include Vivian Howard, Questlove, and Peter Meehan. ‘The Splendid Table’ Names Francis Lam as New HostHis first episode is on March 10. Why Chris Kimball Is in a Legal Battle With America’s Test KitchenThe company he co-founded sued him in November. 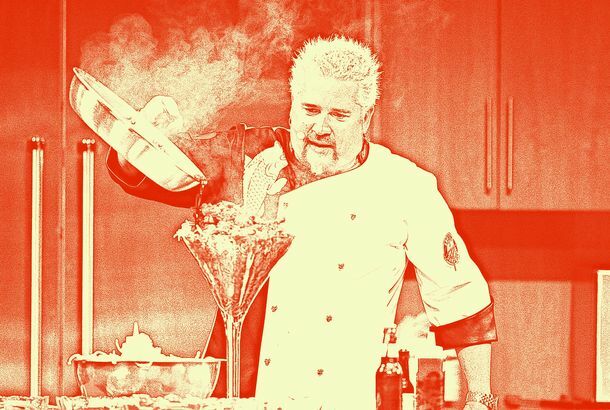 Maybe It’s Not Time to Reconsider Guy Fieri After AllThe backlash to the backlash was inevitable. It’s also inane. Longtime Food & Wine Restaurant Editor Kate Krader Headed to BloombergShe was with the magazine for more than two decades. Zagat Is Changing the Way It Rates RestaurantsIn favor of a five-point scale … with decimals. What’s It Like to Be a Food Writer Right Now?Food52’s Amanda Hesser and Saveur’s Adam Sachs talk about the state of food media right now. America’s About to Get Whole Magazine Devoted to Gluten-Free FoodGFF will go mass-market with its spring 2016 issue. Chris Kimball’s Replacements Named on America’s Test KitchenTwo familiar faces — Julia Collin Davison and Bridget Lancaster — have been tapped to take over the show. Dana Cowin Will Step Down As Food & Wine’s Editor-in-ChiefShe’s moving to become the chief creative officer for Chefs Club restaurants. Chris Kimball Out at ‘America’s Test Kitchen’The publisher cites a contract dispute with its famous co-founder. The Reader’s Food Issue, With a Side of EclecticThe Reader’s food issue contains multitudes. Gilt Taste Hit With Editorial ‘Cutbacks’The online deals company scales back its grocery bill. David Carr Is Pretty Sure David Chang Has Forever Changed the PublishingCarr says the big publishing houses need to pay attention to ‘Lucky Peach’. 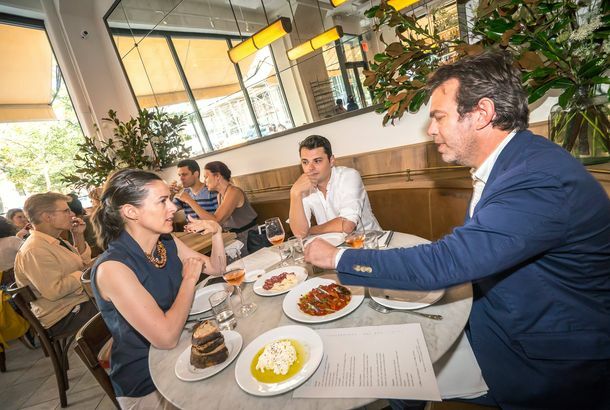 Daniel Boulud Will ‘Guest-Curate’ Gilt Taste Next WeekAnd there’s a snail sale on Wednesday! While in Town, John Mariani Plans to, Well … Go to TowneHe wants to try Tico and Area Four, too. Mario Batali Has His Doubts About All These Gwyneth Paltrow RumorsBut the chef admits that his movie-star friend has a good thing going with Goop. The Coca-Cola Recipe Crashes ‘This American Life’ WebsiteIs the soda giant behind the radio show’s mysterious site downage? Eh, not exactly. Foodily, a Facebook-esque Food Site, Will Tell You What to Make for Dinner, orBut is it only half-baked? Chefs Get on the SoapboxSoapbox launched yesterday. Menton, Craigie on Main Among ‘Boston Magazine’ Top 50 ListGet ready to make some reservations. The Cheap Eater Makes the Jump to VideoKevin Pang is back in front of the camera. Kevin Pang is the Cheap EaterHis new column will explore Chicago’s more affordable cuisine.